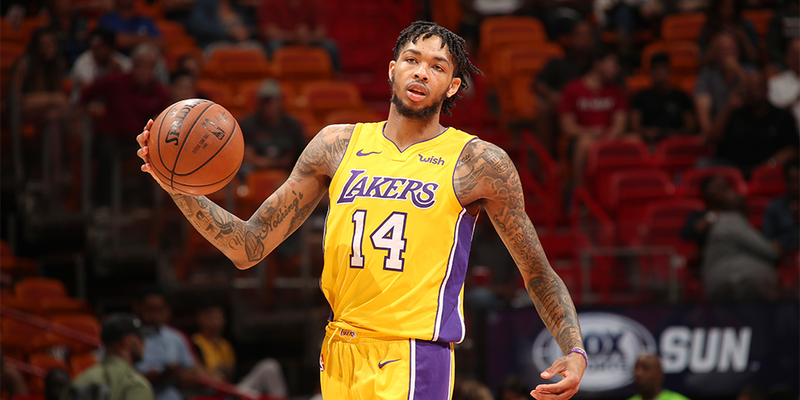 Brandon Ingram's development will be a key to the Lakers' championship aspirations. How does he fit with LeBron, and what will he have to improve on to make sure the Lakers don't fall short of their goals? There’s a big difference between being good and being great. Winning 50 games isn’t the easiest task in the world, but in the grand scheme of things it’s not amazingly difficult. A half-dozen or so teams do it every year. For a team consistently hovering around .500, it may seem difficult to get over the hump and add those extra wins, but the gap between a middling team and a 50-win outfit is small compared to the chasm that exists between those good teams and a team that can truly win it all. Just ask the Lob City Clippers or the Grit and Grind Grizzlies. With LeBron James in the fold, figuring out how to take that step is the next task for Lakers management. The King is in the building, and we’d expect at least one other star to join him—being good is a given. It’s what happens afterward, though, that should keep Magic Johnson and Rob Pelinka up at night. Because it’s the team that’s in place around their stars that will determine whether the Lakers make it to the summit or end up running out of gas on the way up.